A basket waffle weave pattern walks the line between tradition and trend. In solid colors with rich textural interest. Reduce outside noise and enjoy a quiet and peaceful environment. Basket weave insulated thermal blackout. The curtains keep the light out and provides for optimal insulation. Having the heavy, triple weave microfiber blackout window curtains or drapes can make a world of a difference in reducing the amount of light that comes in from outside, which has green-conscious consumers excited about investing them as energy-efficient window treatments. A home insulated and remains warmer in wintertime relieves the strain on home heating and adds up to budget-noticeable energy saving of up to 25 percent. Click contact seller and advise us following information. 1)Heading Type. 2) Single Panel Width and length: Measure your rod or track width. Normally curtain width need to be wider than rod or track width for fullness. 3) Quantity. Great product at a great price. Color was dead on. This blackout worked really well in my room even though it lets in a little bit of light, it does the job. It also looks really good, too. POTENTIAL BUYER HEADS UP/FYI: I just received these curtains, and they look how I was expecting / very nice on the front face. However, I'm using them to divide my upstairs loft/office from the lower living room, so seeing the white lining rather than grey fabric on the back side is not what I was expecting. I just wanted to share a photo to help other customers see all sides of the product & know what they are buying so you're not a little disappointed the way I was when I opened the package. Don't get me wrong, they are really beautiful and a good value, just a surprise that it was white on the back. On a positive note, it is probably meant to reflect light, and thus helps insulate, so it would be more ideal if I was using it on an exterior window! The curtains are well made and just as described. The front is just as in the pictures and back has lighter shade of the front. ChadMade is excellent would deal again. Would have no problem buying these curtains again or another one from ChadMade. The curtains measured correctly and fit my window perfectly. 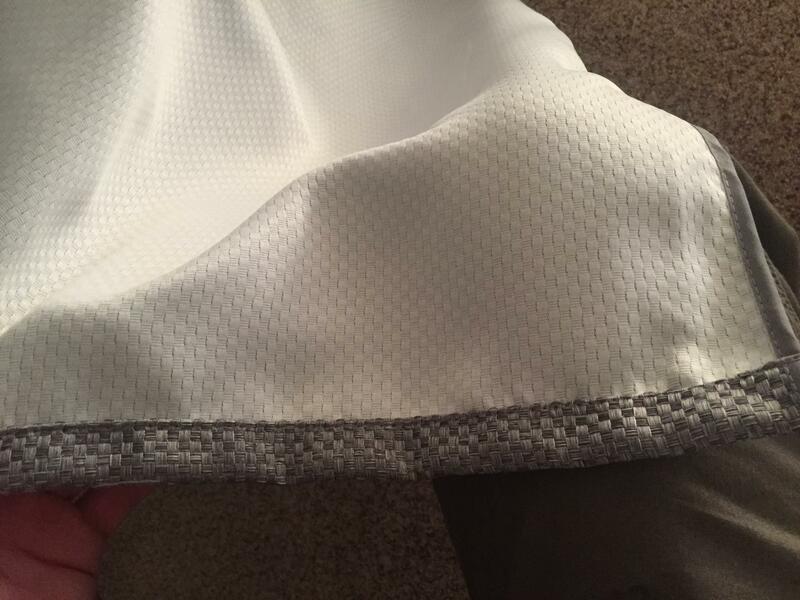 I could find another curtain with variety of sizes or customization options as ChadMade. I ordered standard sized curtains and boy they are fantastic! They are better than I had hopped for. These curtains keep my room cool, dark, and quite. I can tell the difference. There is slight daylight that peaks through, but this is on the curtain surface with MINIMAL light leaking into my room. I am a sensitive sleeper with windows pointing east where the sun comes up. I always woke up early. But the last 2 weekends that I used the curtain, my room has been dark that I slept like a baby! I highly recommend the chadmade curtains. 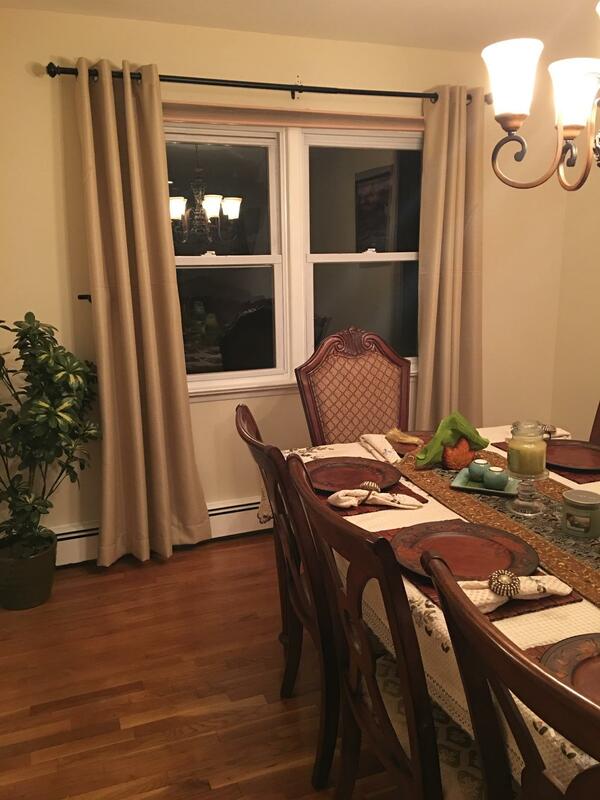 The color and patterns were accurately represented in the color selection, and the sizing guide of 2x1 on width resulted in curtains that look appropriate when opened or closed. Regarding 'black out' capability: the curtains I bought were yellow, and they did block about 95% of the direct sunflight. I used plank blinds under the curtains, and am very satisfied with the room darkness. 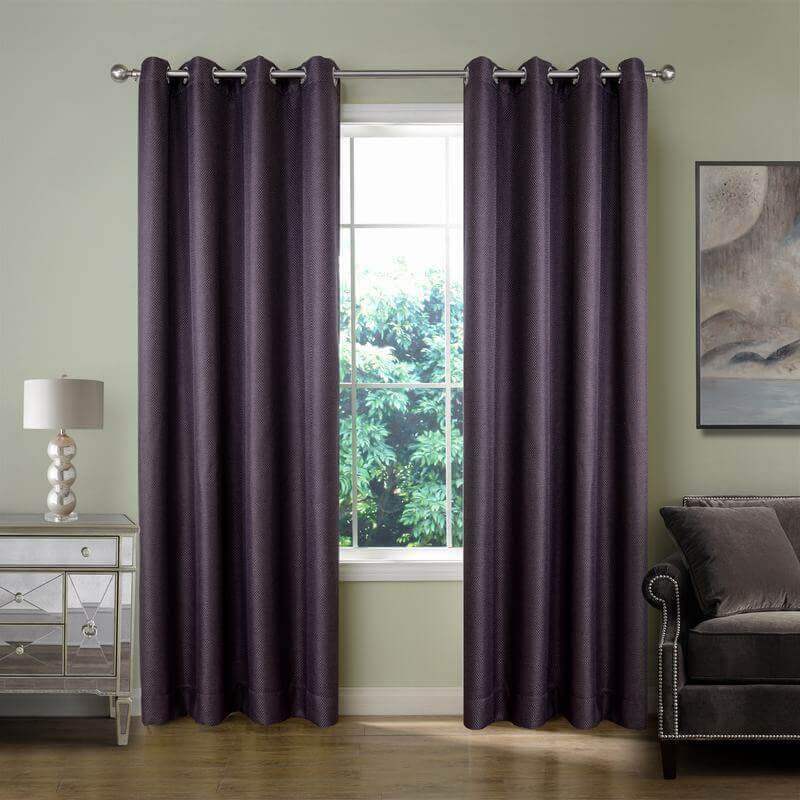 Don't let the delivery time deter you from purchasing these curtains; they are worth the wait! The gray is a bit more silver and lighter than the picture. Otherwise the look beautiful. supreme quality, rich and glossy and it keeps out light. Great workmanship... very nice product. Using this as a curtain for a closet area in a studio. This looks like a million bucks and upgrades the whole room. Great product, great price. The feel is amazing. It really does feel like a rich linen. They are not 100 percent blackout, but do a good job of blocking most light if you have blinds behind them. They are nice, I would buy them again for another room in the future.